One of my favorite sayings is “something out of nothing” possibly because that is how all my projects start out. Ok, actually it’s those happy accidents that just always seem to happen. Yes, I'm grinning :-). When working with paint and brushes, I will swipe the brush across a blank page in my art journal or extra watercolor paper to clean any excess paint off. Well, I was so engrossed in my work that it didn’t dawn on me until later that I was brushing paint onto brand new chipboard coasters . Instead of throwing the coaster away, I added more color using Adirondack Paint Dabbers and Claudine Hellmuth paint. As much as I love the dabber ends on the Adirondack paints, I like using a brush. I simply unscrew the cap and dip the brush into the bottle. 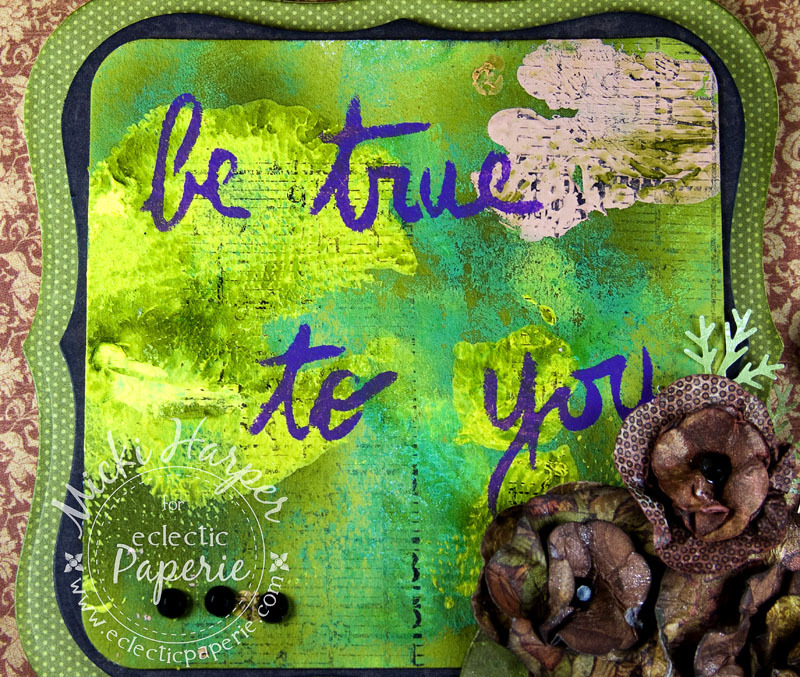 Or sometimes I will pour a little of the paint onto a Inksessentials - Non-Stick Craft Sheet, then add a bit of Claudine Hellmuth Gesso with a craft stick. Claudine’s gesso is perfect to give the paints some thickness. I love mixing paints, kind of takes me back to younger years playing with mud cakes. 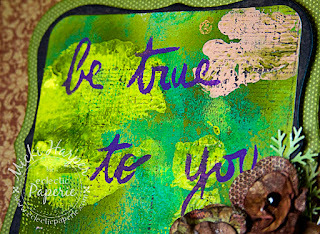 After I was done covering the coaster with more paint, I stamped the ledger strip from Tim Holtz Stampers Anonymous - Classics #6 with Jet Black StazOn ink. 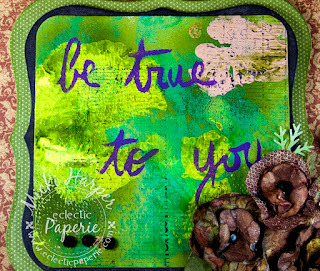 I treated the coaster and the stamp like a mixed media project, meaning that I didn't worry about getting a perfect stamp impression. Actually, I added a little more paint randomly. 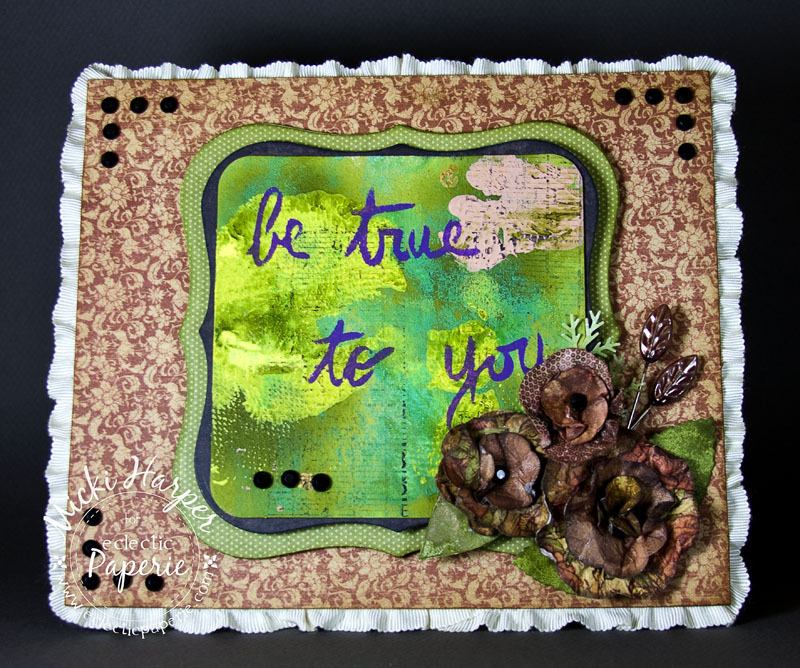 I really wanted to use the Mini Poppies template from The Crafters Workshop. 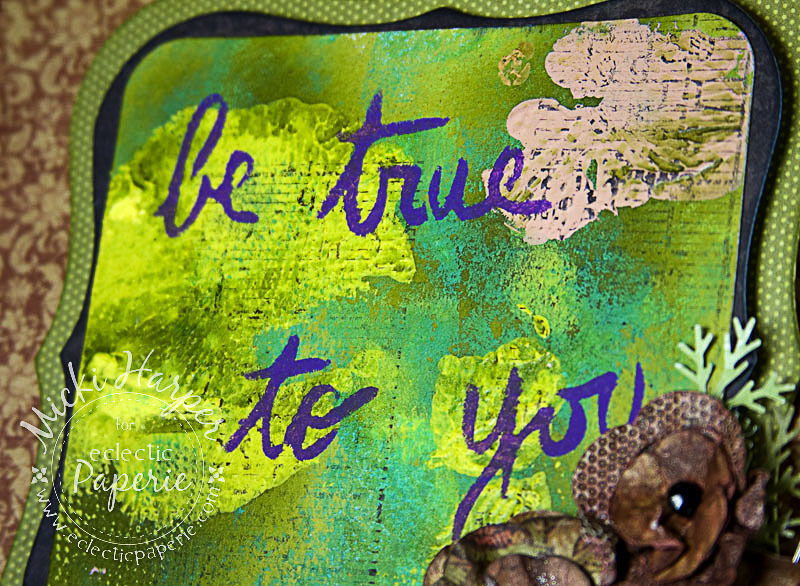 I didn't use the flowers, instead just stenciling the sentiment with a Purple Twilight Paint Dabber. The base is die cut from Chipboard, which is covered with paper from Graphic 45's Bird Song 6x6 pack. The other layers are made up of chipboard covered with papers from My Minds Eye Lost and Found 2 Breeze, die cut with Spellbinders Labels One. I edged all the panels lightly with Vintage Paper Distress Ink and Inksessentials Foam Blending Tool. Added some premade paper flowers, Maya Road Vintage Leaf Pins and black Kaiser Self-Adhesive Rhinestones. Some left over ribbon from my sewing basket added that little something I thought it was lacking (and I used up some hoarded supplies - you know gotta make room for new stuff). To add depth, I used Scotch Foam Mounting Tape. Because I wanted to make sure that the tape would not be noticeable, I used my black Copic marker to color the edges of the foam squares. And that my friends was another "oops" that turned out pretty cool I think. 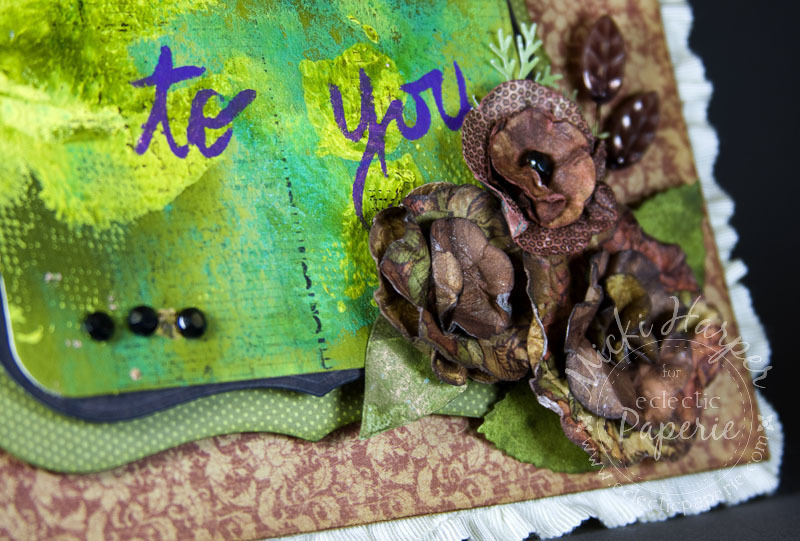 To me it's like card making met mixed media. I hope I inspired you to get creative. Most importantly I hope that you don't let mistakes keep you from creating. Genius Micki, pure genius! 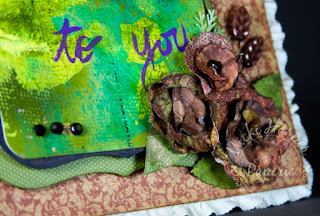 I am in love with your creation...and I love the chipboard in the middle. Wonderful!